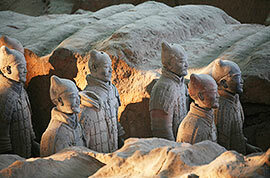 Why Choose China Small Group Tours of TravelChinaGuide.com? 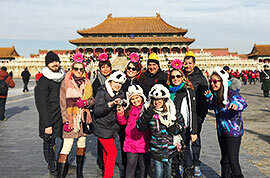 Why Choose Our Small Group Tours? 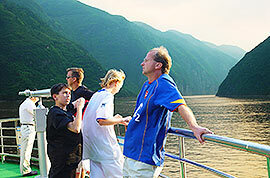 Small groups, big enjoyment with TravelChinaGuide Tours! What is a Small Group Tour? A small group tour is a way for people to travel inexpensively and hassle-free while having an intimate experience. 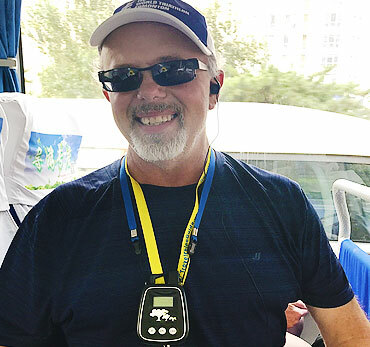 When it comes to a great tour experience, the group size makes a big difference. Unlike agencies catering to groups of 25 to 30 clients, our tours are limited to 1 to 18 people. We do this to ensure that every group member can have maximum enjoyment and more individual attention while keeping wallet-friendly prices. Connected by travel, our clients are from different walks of life. They share not only the tour cost, but the like-minded interests. Why Join in Our Small Group Tours? 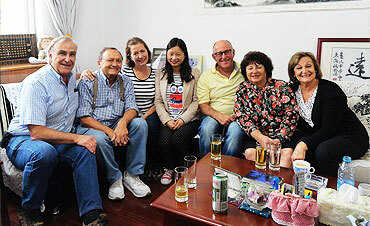 We have decades of experience with operating China group tours and more than 20,000 happy clients to back our success. We guarantee the lowest price and promise that no travel agency can compete with us on both price and service for our small group tours. Due to the increasing number of travelers with us each year, we are able to maintain good relationships with our cooperating hotels and with the airlines that give us their best offers. These allow us to keep our prices low. In addition, we insist on cutting advertising costs to avoid them impinging on our prices, and we are offering holiday tours directly to clients, thus avoiding hidden 'middle-man' charges. More advantages of us, please read the following points. We believe that will help you know us better. We have 35 itineraries for you to choose from. Each itinerary is carefully planned to include all of the top must-see sights and to make the most of your time. Departure dates are guaranteed even with only 1 traveler. No need to worry that a tour will be cancelled due to lack of participants. With over 10 years' experiences, our guides are superb at taking care of all of the details in addition to being proficient in cross-cultural communication. Comfortable accommodation will enhance your enjoyment of the whole holiday. We choose hotels carefully based on our own research on locations, brands, services, etc. 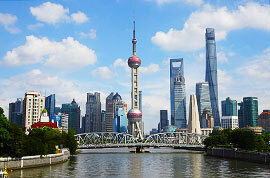 We arrange a la carte meals at fancy restaurants, where you can taste authentic Chinese food. The tourist eateries used by others are all kept away from our clients. One-on-one travel consultant service is available on hand throughout the day, all for free, and all for your worry-free travel. Our no shopping promise enables you to spend more time on attractions, without wasting time in tourist shops or factory stores. We hate price tricks as you do! Our tours are fully inclusive with everything clearly stated in the itineraries with no hidden extras. We are never beaten on price and quality! Should another operator offer an identical itinerary at lower cost please contact our Sales Director and we will match it. Red wine for a group toasting on the Great Wall. Cheers! We had a great time. The tour organized by Travel China Guide was excellent. It was on time, well coordinated and managed. All three of our guides: Linda in Beijing, Lilly in Xian and Ocean in Shanghai were very knowledgeable, concerned with our tastes and priorities. The landmarks we visited were awesome and significant. The food that was provided was at great restaurants and it was tasty. The hotels we stayed were also great in service and performance of their staff. We truly enjoyed every bit of our visit and it will remain a treasure in our hearts and minds for the rest of our life. Many thanks to you all. Hopefully someday we will meet again, God willing! I was highly impressed with the service I received. My travel consultant, Abbey, gave an immediate response to my many and varied queries. The group I joined couldn't have been better. Everyone was friendly, inclusive, full of fun and good humor. All our guides went beyond the call of duty to ensure we had a memorable trip. I would definitely recommend TCG for their efficient, personal and value for money tours. You will enjoy a discount of 10% off the total price if you book a China tour with us 60 days in advance or a 5% off if you book it 30 days in advance. Here are some of our best small group deals. Start now and you will experience more than you expect.